According to sources Tamil superstar Rajinikanth today sought the cooperation of the people of neighboring Karnataka for the smooth release of his movie "Kaala", which is set to hit the screens today. Rajini said in Kannada outside his Poes Garden residence "He has not done any mistake. Please do not disturb those who want to watch the movie and requests your cooperation". Meanwhile earlier the 67 year old actor expressed hope that Karnataka Chief Minister HD Kumaraswamy will take all necessary steps to ensure the film's release today as per the Karnataka High Court order. "He wants to tell those who are protesting against the release of the movie that he had asked Karnataka to abide by the Cauvery Management Board, which is a Supreme Court ruling. He doesn’t know what is wrong in it and also told dams must be administered by the board," he said, adding the efforts to stall the release of the movie "do not seem right". Moreover miffed with Rajinikanth's reported comments that whichever government comes to power in Karnataka should implement the Supreme Court order on Cauvery water sharing in toto, the KFCC on May 29 decided not to allow screening of "Kaala". Furthermore Rajinikanth said the movie will be released across the world and if it doesn't release in Karnataka it would not look good. 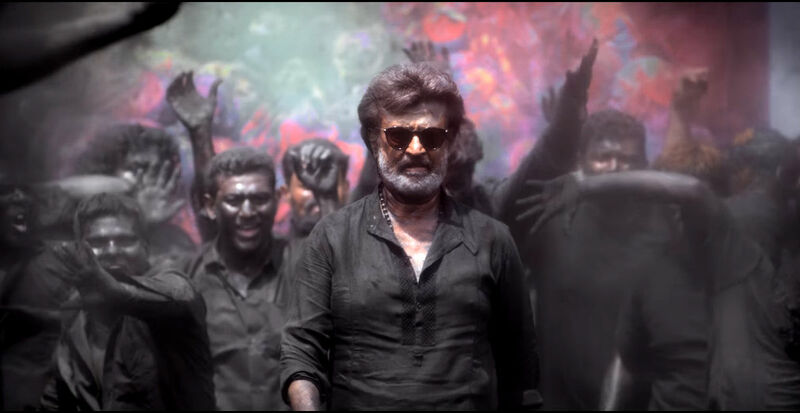 Further the Karnataka High Court had directed the state government to provide necessary security for peaceful release of "Kaala", which pro-Kannada outfits had threatened to stall over the actor's reported remarks on the Cauvery row. Further the Supreme Court declined to stall the release of the Rajinikanth-starrer.